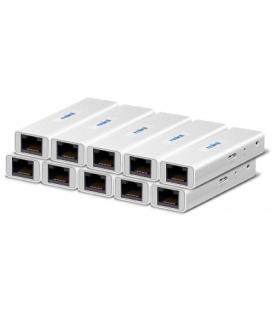 Airconsole 2.0 Mini (5pk) the ultra compact and lightweight all-in-one Bluetooth / 802.11n Wifi / Wired Ethernet RS232 Serial Adaptors. 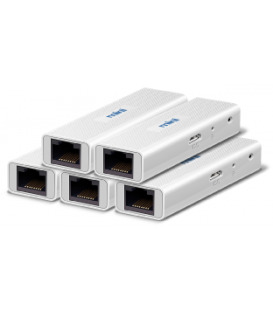 Designed for continuous operation connected via external microUSB power supply. Airconsole Mini works seamlessly with our iOS, Android clients in addition to PC and Mac. Also has built in web terminal and remote access. Please read Product Page for more. 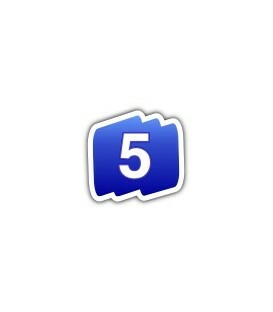 5 Pack - this SKU for 5 units. 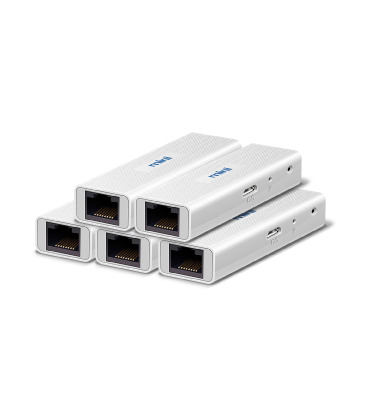 Airconsole 2.0 Mini is a ultra compact and lightweight all-in-one Bluetooth / 802.11n Wifi / Wired Ethernet RS232 Serial Adaptor. 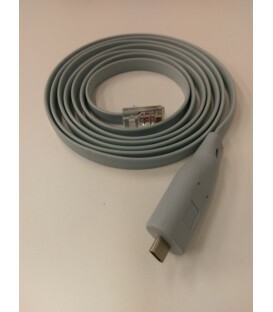 Designed for continuous operation connected via external microUSB power supply (cable provided). Airconsole Mini works seamlessly with our iOS, Android terminal clients in addition to PC and Mac. Also features a built in web terminal and remote access capability. Airconsole Mini allows for easy wireless access to wired RS232 serial ports via a transparent standards based serial-over-wifi protocol. Full RS232 connectivity is supported including baud rates to 9.6k - 230k, 7/8 Data Bits, Odd/Even/No Parity, 1/2 stop bits, CTS/RTS and DSR/DTR hardware flow control. 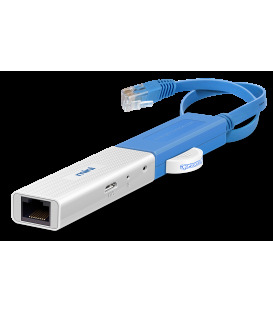 When used with Get Console, or via our supplied drivers it appears as a directly connected serial port to the terminal application. Airconsole Mini also allows for access to wired RS232 serial ports via Bluetooth Low Energy or Bluetooth 2.1 EDR (depending on client device). 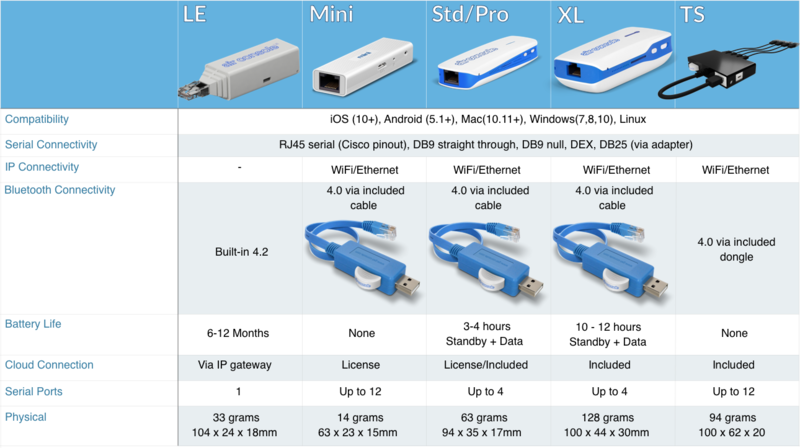 BLE Serial connectivity is supported on iOS and OSX platforms at baud rates from 1200 to 57600. Serial over Bluetooth 2.1EDR is supported on Windows and Android (using our free SerialBot app) at baud rates upto 115200. All standard RS232 settings such as 7/8 Data Bits, Odd/Even/No Parity, 1/2 stop bits, CTS/RTS and DSR/DTR hardware flow control are supported. Airconsole Mini is designed to work seamlessly with our iOS or Android applications (Get Console, RapidSSH or SerialBot). Just enable bluetooth, or for higher speeds simply join the Airconsole WIFI network and launch the app - the serial connections will use the Airconsole Mini as if using a cable - Baud rates, flow control, and other serial settings are transparently applied to the adaptors serial port immediately on connection. Full flow control, baud rates upto 115200, all pins connected and controllable via the Get Console application. Airconsole puts out true RS232 (+/-5v) voltage levels. 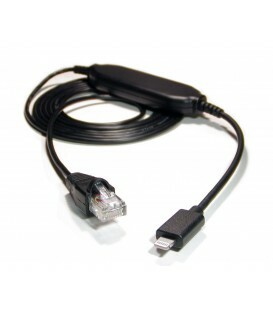 The supplied RJ45 cable can easily be adapted to DB9, DB25 or DEX presentation via dongles available here in this webshop. 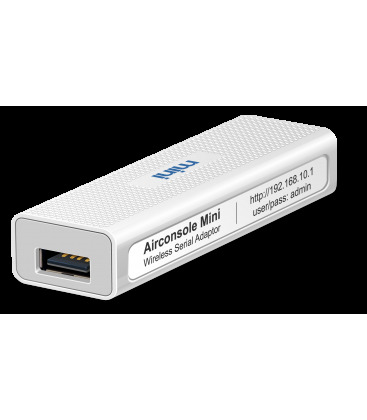 Airconsole Mini also functions as a wired to wireless Ethernet bridge, meaning your iPad, iPhone, Android, Mac or PC can connect to the wired LAN transparently. 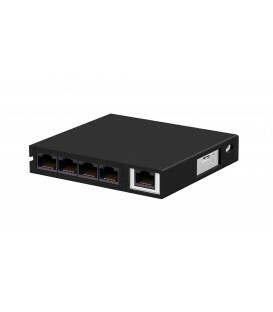 When used with Get Console it therefore means equipment that is accessed via an Ethernet rather than Serial console port can be simultaneously controlled. For example, use Get Console's built in TFTP server to upload new files to a devices Ethernet management port while controlling it from its Serial console port. 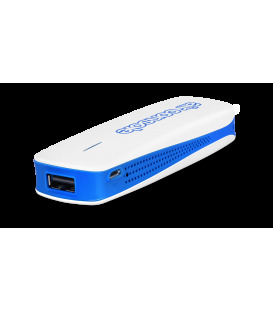 Airconsole Mini has built in support for sharing its serial port with remote web users via the cloud. 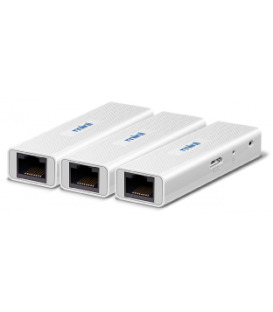 Using our low cost Airconsole Enterprise Server (licenses sold seperately), Aggregate many remote serial devices into an always-on cloud based serial terminal server - a single web interface can provide remote console access to any and all manner of industrial, networking, home automation equipment via their RS232 management ports. Airconsole has a built in webpage for changing the default configuration - allowing for encrypted or open wifi, enabling routing, running with static rather than DHCP dynamic IP addressing and upgrading the firmware to the latest features. 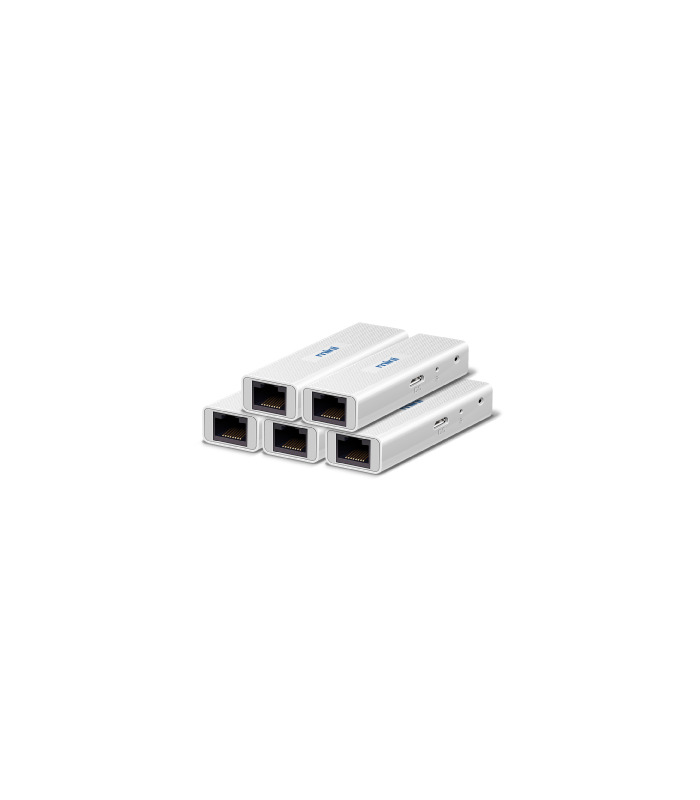 - Multiple Serial port capable - connect upto 12 serial ports using our 4 port cable extension kits. For best installation we recommend the Airconsole TS product which includes the Airconsole Mini inside a cradle kit that interlocks with the 4 port cables. 5 x Micro USB power Cable. NOTE no power brick is supplied. 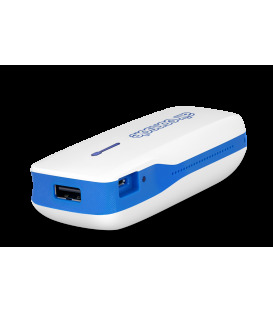 Airconsole Mini requires just 150mA of power from any USB port or use an external USB-mains power adaptor suitable for your countries voltage. Serial Baud rates (using BLE) from 1200 through 57600. 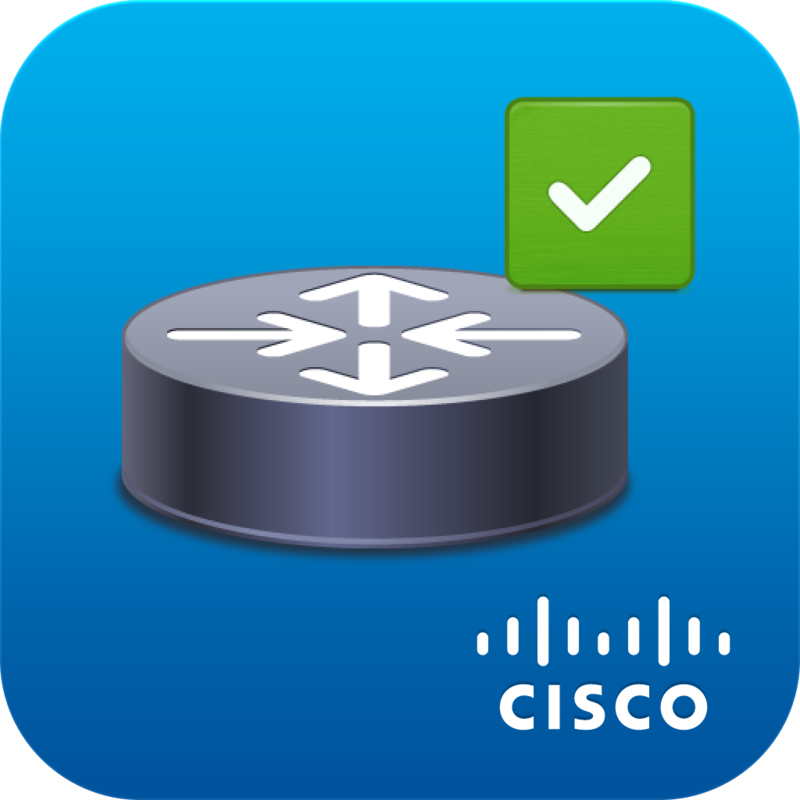 While 57600 baud is supported on serial side, the BLE radio limits actual throughput to 17Kbps (iOS) and packet buffering or possibly overflow may occur during sustained transfers over BLE. If sustained rates at 38400 or higher baud is required, switch to WIFI. 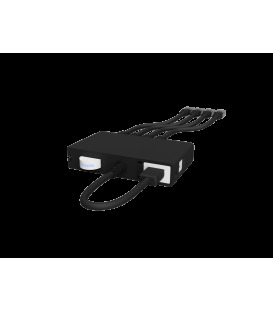 Single micro USB power port 5V DC in. Visit support.get-console.com for documentation, firmware updates and to log any support desk tickets. We offer a best effort email support desk which usually responds within 48 hours to all queries. Additional telephone support offerings are available.